Come visit our newly remodeled gift shop and check out a wide variety of merchandise! Items for sale include flowers, homemade candy, paperbacks, magazines, notions, children’s games and toys, baby clothes, stuffed animals, specialty gift items for men, women, children and infants plus jewelry and greeting cards for all occasions. 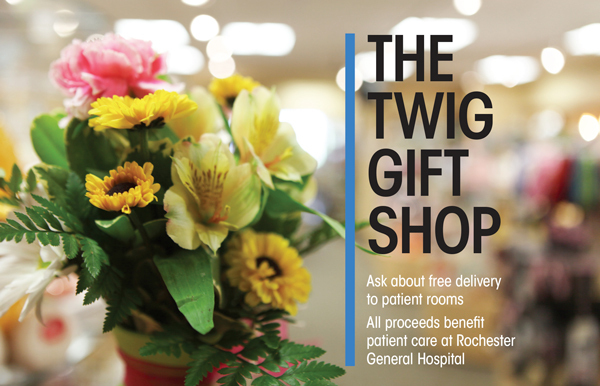 All proceeds generated from the shop sales benefit Rochester General Hospital.